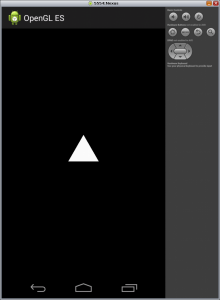 The scope of this post is drawing a triangle with OpenGL ES 1.x in Android focusing especially on the relationship between code and position of the triangle. 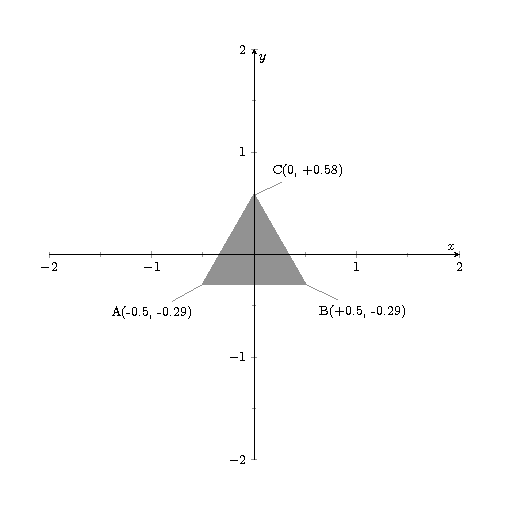 The coordinate system has the origin where the observer is, with the x axis horizontal and rightward, the y-axis vertical and upward and the z axis points so that the observer is looking towards the negative z, then the coordinate system follows the right-hand rule. 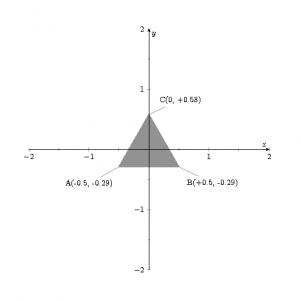 that are the vertices of an equilateral triangle with the barycenter in (0, 0, -10). You can test different combinations of zNear, Zfar and fieldView for the frustrum but remember that you don’t see the triangle if it is outside the frustrum. You can uncomment the rows 25 and 26 of the class ShapeRenderer and verify how you can translate the triangle with glTranslatef or how you can rotate it with glRotatef; using glRotatef if the rotation means that the vertices of the triangle are sorted counterclockwise for the observer, the triangle will not displayed. Tanks very much is good…..!